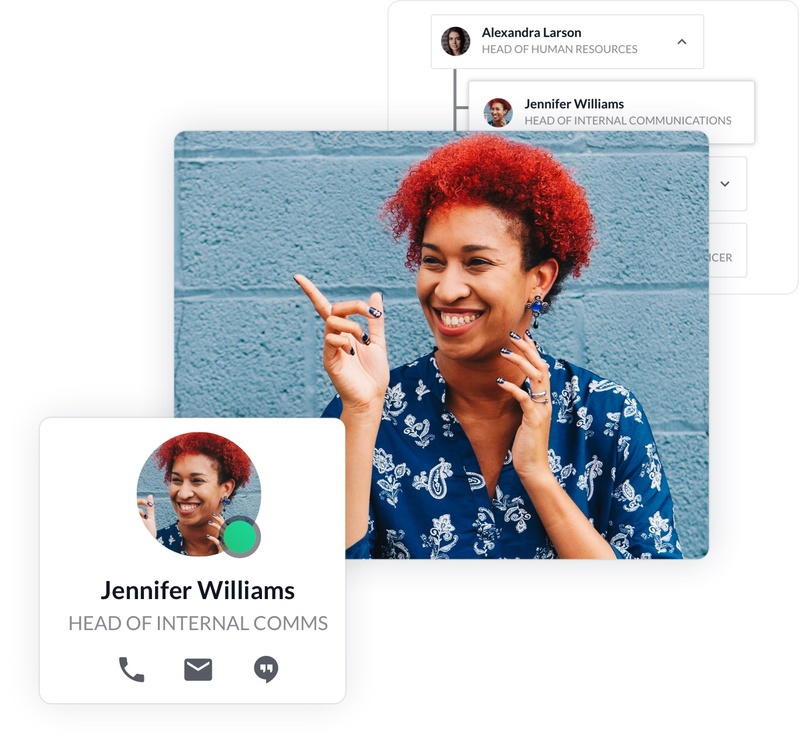 Give your employees the ability to discover, connect and collaborate without relying on introductions. Your best asset are better when they can connect seamlessly. 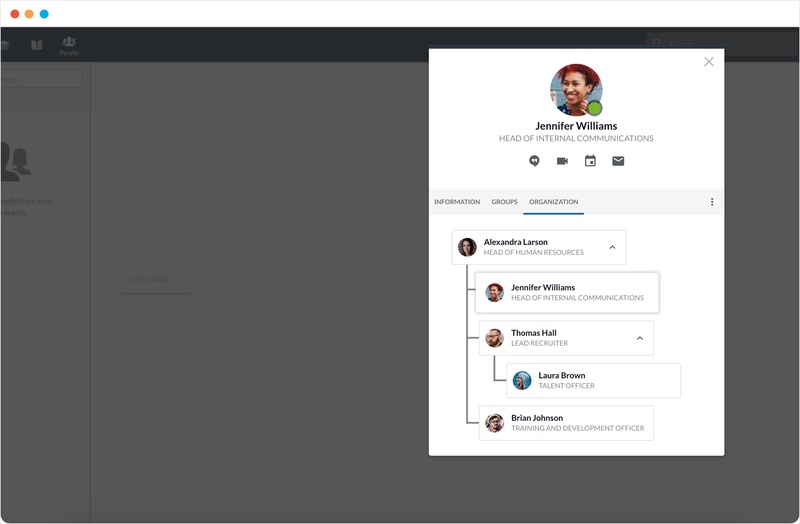 Automagically make an org-chart from your existing Google directory. Find people based on name, job title, department, skills, bio and more. Have your own rich user profile, add skills, bio and contact information. See if someone is busy from their profile so you know if its a good time. Seeing the features are all well and nice, but how will your employees use People on a day-to-day basis? I want to hire someone from abroad, but I have no idea about visas. I search for “visas” within Happeo, and find Rachel from the relocations team. I send her a chat and find out we can hire this person with no problem. Great! Now I just need to convince my boss that this person is as awesome as I am.